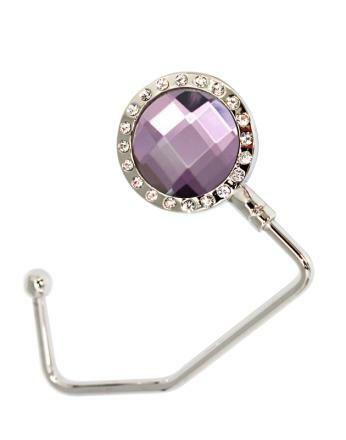 Purple crystal flower handbag hook. Comes with a velvet pouch. Great Quality handbag hook and quick delivery. Thank you!